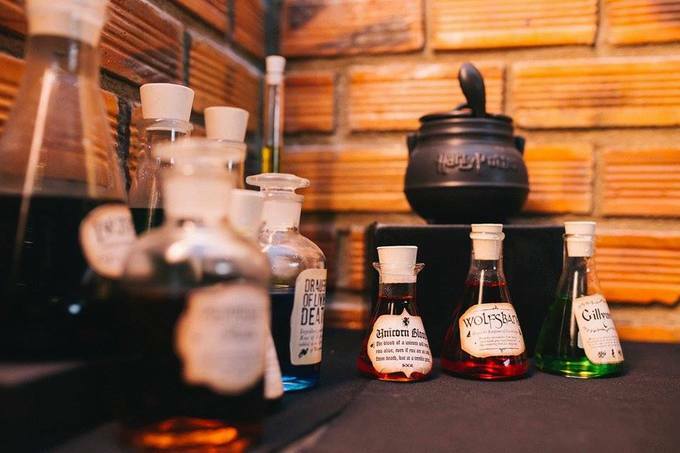 This Hogwarts-themed coffee shop in Da Lat will satisfy any Potterheads. 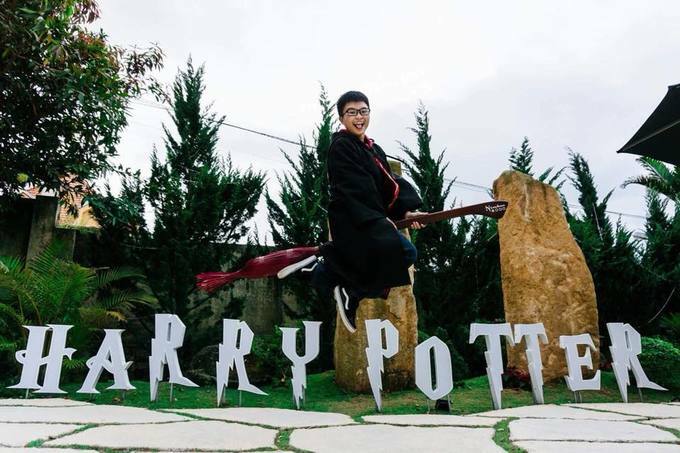 At this coffee shop in Da Lat, dubbed Vietnam’s city of love, all the affection is for Hogwarts, the wizard school where Harry Potter went to in the best-selling fantasy series by British author J. K. Rowling. 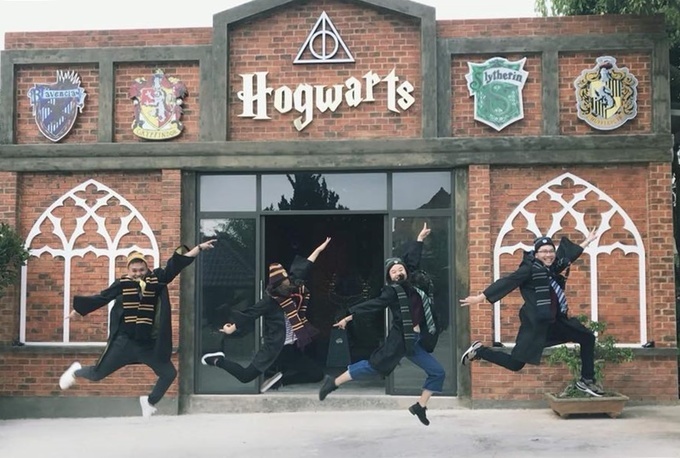 Trying to recreate the mythical castle in the seven movies adapted from the books would be impossible, but these guys are wearing the uniforms of the school's four houses: Gryffindor, Slytherin, Hufflepuff and Ravenclaw. Anyone for a game of Quidditch? 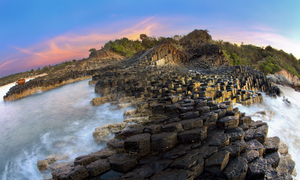 Quidditch is the most famous sports in the wizard world that Rowling created that is just as popular as football for “muggles”, which mean people who were not born into a wizard family. 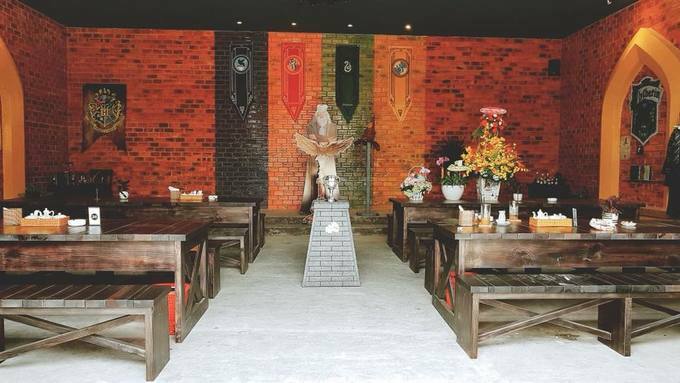 This room is a miniature version of the dining room where all Hogwarts students and teachers eat every day. 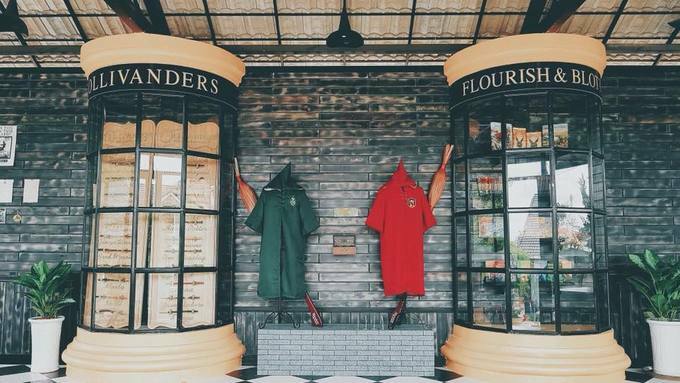 A life size statue of Professor Dumbledore stands under the flags of the school’s four houses. 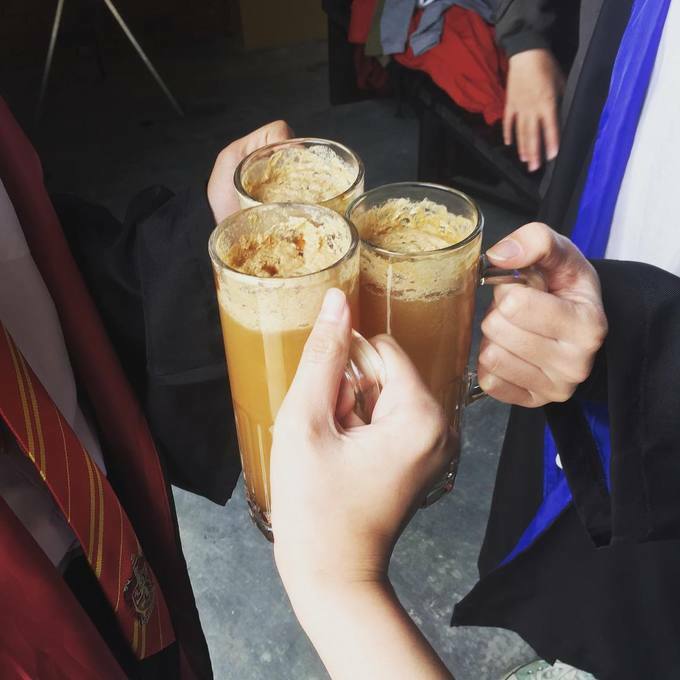 Butterbeer, the signature drink at the Three Broomsticks, the most famous coffee shop in Harry Potter’s world, is recreated here. 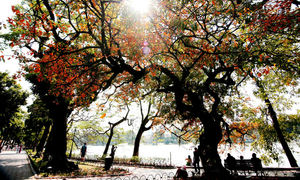 This drink is a mixture of butter and a little alcohol, and tastes best in the cool weather of Da Lat. 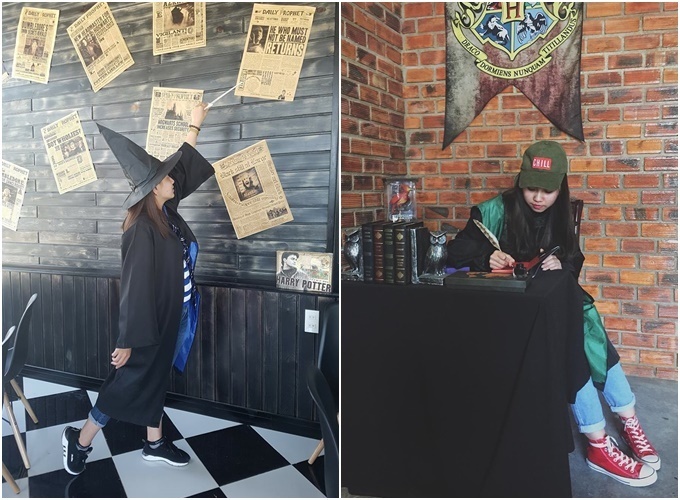 For VND20,000, or less than one dollar, visitors can hire uniforms and take photos at this Harry Potter coffee shop at 23 Ngo Van So Street in Da Lat.